As one of the first event specific IT companies in the UK, noba was created to service the demand for high quality event Wi-Fi, live streaming and bespoke software solutions in the live event sector. Today, technology and connectivity are equal in importance to audio, video and lighting in many events and live experiences . This is due in no small part to the emergence of social media, keeping the world more connected than ever before. As such, the integration of temporary WiFi services has gone from being a bonus at an event to absolutely essential. noba ordered 400 WiFiPaks to give away to important prospects at the technology event where they were exhibiting. The bespoke printed WiFiPak was loaded with noba content (a microsite) containing lots of useful information about the company (including videos, case studies, example pricing, company information, FAQs). noba specialises in building unbreakable, innovative software solutions delivering over 60 major projects a year for many of the world’s events and brands, from bullet proof connectivity to ground-breaking software, and continue to lead the way in live technology earning them the position as one of the UK’s leading event technology companies. So it was no surprise that they used WiFiPak to showcase their capabilities at aN IMPORTANT event. The people that received a WiFiPak couldn’t believe what was going on as they used it. They were blown away at this futuristic little pack that was delivering content to their smart devises – transmitted by minaturised Wi-Fi technology. 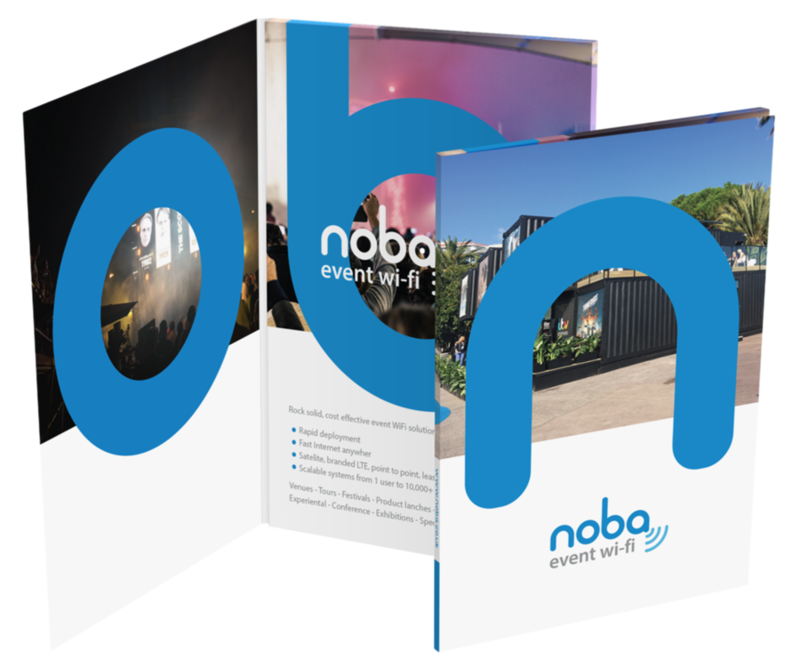 It certainly was a conversation piece and worked to help noba stand out amongst everyone else at the event (who were handing out… you guessed it… plain old printed leaflets).